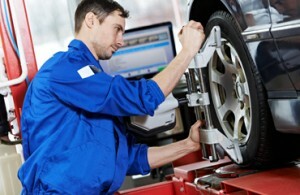 Do you need a tyre repair or puncture repair in Dublin? Have you walked out of work or the house to a puncture? Are you stuck on a roadside with a puncture and don’t know what to do? Do you have a slow puncture that needs to be fixed before it becomes bigger problem. We offer a 24 hour call out puncture repair and tyre fitting service. We are the fastest solution to your puncture repair. We are conveniently situated within easy reach of all greater Dublin and Meath locations and will respond quickly and efficiently to your call. Our fully Insured, experienced mechanics can repair your puncture quickly and efficiently or If need be replace your tyre on the roadside. We can come to your home, your place of work or wherever you need a puncture repair. The guys at Mechanic365 done a great job in coming to my job in Dublin. I got a flat on the way to work and it was completely flat by the time I got to work. Shane the mechanic called out and replaced it with a brand new tyre.